I hope this article may provide some guidance and ideas in your planning process. And, in case you are looking for gifts for any other occasions, check out my earlier post on frugal and romantic anniversary ideas. Christmas is just a few days away and it is not too early for you to start thinking of cool ideas to make this season merry and bright. What if you are really on a budget and need to stretch that dollar? One of the first things you can do to save money is to send Holiday eCards, and when it comes to gifts, here are 101 frugal ideas you could go for. 1 – An experience – As they say, as you grow older your Christmas wish list gets smaller and at a certain stage you start for the gifts that money can’t buy. such as the presence of your children, grandchildren, a healthy body, etc. But the gifts that really leave a lasting memory are the gifts of experience. Cloud 9 Living is a place I often go to for that perfect experience gift for my wife, at least, no harm in exploring. 2 – Create a website for your family, fill it with pictures and stories of your life – There’s nothing better than seeing the expression on other faces when you unveil this gift. You can create your blog in 20 Minutes for just $20. I did it and I am loved ever since. That site is only for us, searchable but no one can guess it’s our family. We do regular photo and message exchanges via the site. It’s pre-historic to exchange ideas by adding website content, especially in this era of instant messaging. But it’s so special! 3 – A Swiss Army Pocket Knife – This handy tool has all that is needed for any emergency or just to be prepared for any situation. 4 – Pocket Rain Panchos – This idea may not be what is expected but it sure comes in handy when it rains. 5 – A Purse or Pocket Size Umbrella – Your friends or family may appreciate the practical nature of this gift, even more so during a downpour. 6 – Telephone call credits, prepaid – For those persons who love to talk or hold long conversations, this gift idea will be appreciated. You determine how much this gift will cost. 7 – Jewel Cases for DVDs and CDs – ideal for keeping the DVDs and CDs protected in a stylish manner. 8 – Scented Candles – You can never go wrong with this gift idea that adds to the decor of any home. These candles come in a variety of sizes and colors, as well as fragrances. 9 – Magazine Subscriptions – For the persons in your life who love a good magazine, subscriptions would make a good frugal gift idea. Just make sure that the subscription is for their favorite magazine or publication. 10 – A Manicure and Pedicure Set – a gift idea that is both practical and usually affordable. 11 – Set of Playing Cards – much fun and entertainment are promised by this timeless gift. This idea extends to other types of playing cards or games. 12 – Wallet Card Sized Magnifying Glass – handy for persons who would like to see things much clearer. 13 – Coffee Mug Warmer – Imagine the pleasant surprise when your coffee loving friend or family receives this gift to keep their favorite beverage warm. 14 – Tire Minder Valve – with these handy devices that clip onto the tire valves, persons receiving this gift can see savings on fuel costs. These valves turn red when tires are under-inflated. 15- Digital Photo Album – Persons will appreciate the ease with which favorite photographs are kept in this digital purse or pocket size I-pod style photo album. 16 – Contribution to Charity in their name – Good for those who love to keep on giving. 17 – Hand Held Electronic Sudoku Game – Lovers of the Suduko game will appreciate this touch screen game preloaded with over 700 Suduko puzzles ranging in difficulty. 18 – Transistor Radio. – This small and inexpensive gift may come in handy during a power outage and natural disasters. Persons who love the outdoors may also appreciate this. 19 – Envelopes and Note Cards – Good to have around for when the need to write or make a connection with friends or loved ones. 20 – Rubber Boots – The kind that is used to protect the shoes from water. 21 – Tire Pressure Gauge – Motorists will definitely appreciate the ability to check their tires for this gift. 22 – Miniature Personal Groomer – Always good to have in the case where the one needs to do a quick comb or brush of their hair or beards. 23 – A Digital Meat Thermometer Fork – The kitchen could do with this item that allows the cook to monitor temperatures during grilling or baking. 24 – A Movie Night Out – A gift of a movie night out does not need to be expensive to be appreciated. This can be extended to families without hurting the pocket. 25- Baby or Elder Sitting Certificate – You could also be creative in making up a certificate offering your services for a specific time to friends or family who have small children or elderly relatives. They will appreciate it. 26 – Travel Garment Iron or Steamer – Even if clothes were ironed before being packed for travel, they can always do with a once over with this inexpensive gift. 27 – Sunshade or Eyeglass Case – Just to protect the eyewear from damage. 28 – Passport and Travel Document Case – Not only will this gift protect the precious travel documents, but it will also keep tickets, boarding passes or other items organized. 29 – Picture Frames – For all those photographs that should have been framed but were not. 30 – Sleep Mask – Available in various colors and styles. 31 – Personal Pocket Fan – To keep cool during hot weather. 32 – Electronic Key Finder – Great gift for persons who always lose keys, no matter where they put them. 33 – Engraved Metallic Luggage Tags – It is not difficult to locate baggage on the airport carousel and is easy to return if lost. 34 – Digital Travel Alarm Clock – Great gift for the frequent traveler. 35 – Pedometer – Joggers and walkers no matter their ages will appreciate this gift. 36 – Seat Belt Pads – Seat belts are kept from digging and cutting into skin and driving is made less uncomfortable. This also protects delicate clothes from being wrinkled by the seat belt. 37 – Football Team Jersey, Cap or T-Shirt – Great for those football fans on your list. Sports apparel for any team could make great gifts too. 38 – Personal Embosser – It will now be possible for persons to make their own seal on letters, napkins, books, and other items. 39 – Hot/Cold Therapeutic Neck Wrap – A flexible item that can be for all seasons. 40 – Cloth Napkins – Great for persons who love to entertain their friends but find the paper napkins somehow inappropriate. 41 – Napkin Rings – An accessory to go with the cloth napkins. 42 – Can of Tennis Balls – For the tennis buff who wouldn’t mind a few extra balls. This idea could easily be changed to golf balls or other small balls, depending on the sport of choice for the person receiving the gift. 43 – Small Silver Cross – As a reminder of why Christmas is important. 44 – Cordless Optical Mouse – This is an inexpensive and practical gift for the person who uses computers a lot. 45 – Blank Page Book or Diary – A token that persons can use to record their significant moments or things to do. 46 – Jumper Cables – You would be surprised at the number of persons who do not have these items around when they need them. 47 – Coffee Bean/Spice Grinder – For the person on your list who prefers to make his / her own coffee or spices from scratch. 48 – Elegant Coaster Set – A great gift idea for those who love to entertain friends. There can never be too many coasters around. 49 – Battery Packs – Emergency situations may call for these packs that you may purchase in various sizes. 50 – Hands-Free Cell Phone Ear Set – Safety demands that cell phone users have one of these. 51 – Computer Mini-Speakers – An inexpensive way to boost the sounds from the laptop, computer, tablet or iPod. 52 – Rechargeable batteries with charger – This will allow users to keep using their gadgets without fear of losing power. 53 – Multi-tool – Featuring knife, pliers, screwdriver, can opener, wood and metal file, etc. is an all in one tool that men would appreciate. 54 – Business Card Organizer – A way to keep all those business cards in one place. 55 – Business Card Case – Another option to keep business cards neatly. 56 – Solar Flashlight – Available as a large handheld or a small key chain size. It is a practical yet inexpensive gift some men may appreciate. 57 – Book Gift Cards – These are offered by some specialty bookstores and you might find one that offers gift cards even for half the price of the books available. 58 – ebooks – Most of these are available for low prices. A gift card to allow access to favorite ebooks could go a long way for the person who loves to read. 59- Movie Rental Gift Card – For the one’s one you list who are avid movie fans, this gift would be a welcome item, particularly if you are able to make this a one-year subscription. 60 – Canvas Storage Case – For the person who has everything, a cool gift is the canvas storage chest from the Rubbermaid Configurations line. It is an attractive case with cedar strips and has lots of storage space. It is folded up between uses. 61 – Hand Made Tile Coasters – You can create these from 4-inch ceramic tiles with patterns painted on. 62- Personalized Framed Photographs – Another homemade gift idea where you decorate a simple picture frame with your own designs using beads, seashells, ribbons, etc. 63 – Framed Silhouettes – You can also make silhouettes from cloth or paper cut out and frame them as an affordable gift. 64 – Bread Maker – For those who do not mind making their own bread. 65 – Ice Cream Maker – Friend and family who enjoy making their own ice cream will appreciate this appliance. 66- Cake Roll Washcloths – Designs that look delicious enough to eat, but are appealing to the bathroom décor. 67 – Rings (and other costume jewelry) – Depending on their designs, you will be able to find suitable costume jewelry at low prices. 68 – Foot baths – Pamper your special someone with scented footbaths that rejuvenate and energize. 69 – Tea Cup Set – You may choose to go vintage, by hitting garage sales or choose whimsical designs that appeal to the person you are giving these to. 70 – Carved scented Candles – Get the special woman that gift that says she is a Diva! These attractively carved candles scented with clove and orange. 71 – Purse Holders – These nifty hooks can be hung from tables and desks to keep purses from being placed on the ground. 72- Password Directory – A solution to the problem of someone forgetting their passwords. Keep those passwords in one place for easy retrieval. 73 – USB Can Cooler and Warmer – Plugs directly into the computer to keep drinks warm or cool while browsing the Web. 74 – Extra Large Remote Control – No more losing the remote control in the sofa. Buy an extra large remote this Christmas. 75 – Charger Case – A simple carrying case that holds those chargers in one place and keeps cords free from tangles. 76 – Charging stations – Solve the problem of too many gadgets being charged all over the house. This charging station holds three ports and hides unsightly power cords. 77 – Basket Ball Dust Bins – Just what you need to get the kids to clean their room, a trash bin with built-in backboard. 78 – Printed T-Shirts – There are many options you can go for in the kinds and volume of t-shirts you can buy at the most reasonable prices. 79 – Woven Blankets – Every one of these blankets is 100 percent handwoven in Wales with its own unique pattern. 80 –USO Care Packages – You can show appreciation to the servicemen and women troops stationed overseas with care packages that include personal messages. 81 – Dog’s Ceramic Bowl – Even the pet will get into the Christmas spirit with this bold ceramic bowl that let everyone know how much you appreciate the pet. 82 – Dog’s De-shedding Tool – A grooming tool that painlessly and effectively takes away unwanted dog hair that would otherwise mess up the home. 83 –Cat’s Castle – An all-natural cardboard playhouse made to be decorated for that fussy cat. 84 – Knubbig Glass Table Lamps – These mouth-blown glass table lamps that can be a welcomed gift to the coworker. 85 – Udon Bowls – These well-designed udon noodle bowls can come in handy for home entertainment. 86 – Luscious Lip Glosses – You may choose from a variety of flavors including Cider, Butterscotch Pudding, Holiday Shortbread, or purchase the entire set if your budget allows. 87 – Makeup kit – a very handy item that will be appreciated by the receiver. 88 – Pocket Mirror – An inexpensive gift idea that will always come in handy. 89 – Personalized Clipboard – designed with a personal touch to make taking notes more fun. 90 – iStand – You can find affordable stands for the iPod or smartphone. 91 – Slippers (even flip flops) – It is possible to find affordable slippers for anyone in the family. 92- Souvenirs – You can find low-cost items in any souvenir shop or by traveling to other countries. 93 – Wallets – Even those that are 100% genuine leather are affordable. 94 – Crayon Rocks – This set of 16 crayon rocks in a pouch will get your kids busy with their coloring books. 95 – Superhero Mask – Consider these super-soft satins and felt masks which can be found in a variety of colors for the kids. 96 – Kids’ Tattoo Set – These are non-toxic washable tattoo gel pens along with four stencil sheets to allow your child to have fun making letters, numbers, symbols and classic tattoo shapes. 97- Football/Baseball Tin Box Games – Save you having to worry about broken windows (and bones). Each tin contains a tiny vintage peg and dies game based on the real sports. Perfect for rainy days and those long drives. 98 – NY Hoodie Camera Case in Olive – This camera case has a tough backing to keep the camera screen safe, and an extra pocket for keeping batteries and memory cards. 99 – Natural Life Charm Necklace – These are designed with colorful beads and inspirational sayings and come in their own wooden cases. 100- A Family Portrait – This could make a memorable gift for the entire family and it does not need to burst your budget. 101- Reconnecting with someone you haven’t spoken to in a while. This gift idea may not be a tangible one but it goes a long way in making someone who once was a part of your life appreciate their connection with you. You can always follow-up with a tangible gift later on. I am not sure which of the ideas I would like and implement but, a few hours of brainstorming and searching on the net produced the above ideas. Now it’s the time to put one of the ideas into practice, isn’t it? Here, at this blog, we grow richer in monetary, spiritual and social life One Cent at a Time, we save money one cent at a time. I won’t tell you to go cheap while selecting Christmas gifts, this is a big occasion for Christians and depending on the tradition you follow in your family, you may not agree at all with this list. If you do not agree, just try to have the list as a stepping stone for creating your own unique gift. 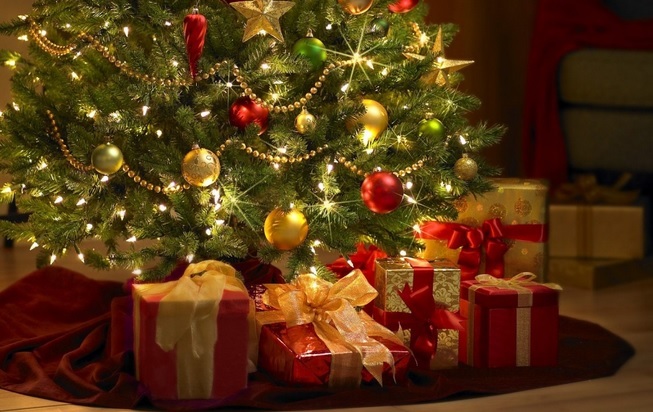 Readers, do you want to share your experience about Christmas gifting? Do you always go for costlier and pricier options to make the day and the year memorable or you look to cut cost? Great list. It is nice to read that although you are a Hindu, you still kind of celebrate the Christmas. It made me think about our Savior and his atonement for all mankind. I wonder what Hindu faith teaches about this and if it ever accepts a Savior is needed for a man to get saved. Your list is great reminder that the Christmas is symbolic and should be like that and no super-expensive gifts are actually needed to express love to others. Thanks for the reminder. Awesome list! It’s always good to prepare things in advance. Nice long list of gift ideas, but it’s just too early for me to think about Christmas gifts. fast food gift certificates? That’s a terrible idea in so many ways…. I like most of the other stuffs on your list though. In my household, we like giving experiences when we’re splurging – tickets to the show for the grandparents, gift certificates for wine tours, etc. – and home made for close friends and family, e.g. the homemade red wine vinegar I’ve been making all year that is orders of magnitude better than anything you can get in a store and my friends and family are always asking for more. Wow! Another 101 posts, those are awesome gift ideas. Thanks for sharing, I’ll be using this as a reference when I go gift-shopping or gift-making. Those are some unique gift ideas.I like the family portrait idea. I think practical gifts area good thought – one of my favourite Christmas gifts was a set of decorative coat hooks. They were a beautiful gift, but one I could actually use too! These are great gift ideas. Thank you so much.